Acts 29 is a diverse, global family of church-planting churches. On the podcast, our new host Tony Merida - founding pastor of Imago Dei Church, Raleigh, N.C. and Associate Professor of Preaching at Southeastern Baptist Theological Seminary - is joined by various pastors, theologians, and innovators sharing stories and insights to help you serve Christ’s Church more faithfully and effectively. 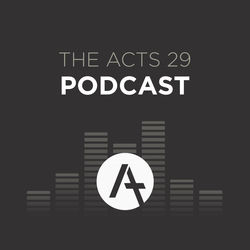 Listen and subscribe now to the best Christian podcasts today from podcasters just like Tony Merida - Acts 29 Podcast. These popular Christian podcasts are available to listen to and download for free on Faithplay. Faithplay is filled with more episodes from Tony Merida - Acts 29 Podcast and other top Christian podcasts. Download Faithplay today and start listening!